I DESIGN and IMPLEMENT technical SOLUTIONS to the critical CHALLENGES of SOCIETY. Nkwuka Chiedu is the Head of Engineering of Asaba, Delta State – based technology consulting & service company, Theokaris Technology Services Limited. With over 8+ years of experience in the information technology space, he regularly consults for individuals and businesses on information technology procurement, installation, maintenance, business planning and strategy. An avid volunteer, he worked with the N.Y.S.C/N.D.L.E.A Drug-Free C.D.S group, a government-backed initiative that aimed to reduce the incidence of drug-abuse/use of banned substances among rural youths through advocacy and sensitization and also currently serves as the President of R.C.C.G Unity Young Adult and Youth Fellowship. Chiedu also holds a Honors degree (B. Eng) in Electrical and Electronics Engineering from the Federal University of Technology, Akure, was a N.N.P.C/ Mobil Nigeria Unlimited Scholar from 2007 - 2011 and a Zain Africa Challenge International Scholar. A polymath and master communicator with proficiency in the three main Nigerian languages of Ibo, Yoruba and Hausa, he is looking for opportunities to contribute his expertise in new and upcoming start-ups. 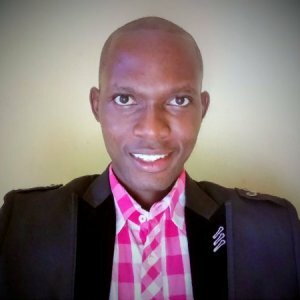 Interests: artificial intelligence, disruptive technologies, critical thinking, emotional intelligence, business strategy, value investing, entrepreneurship and public speaking. HP Life E-Learning is a free, online training program that offers more than any other online entrepreneurial training and support program, enabling students and budding entrepreneurs to learn IT and business skills in their own time, at their own pace. HP LIFE e-Learning uses HP’s innovative cloud-based technology to help millions of entrepreneurs and students learn essential business and IT skills to establish and grow their own businesses, create jobs, and help support a thriving community. It empowers entrepreneurs with free, online access to high-quality educational resources to help them learn or sharpen their business and IT skills on their own time, at their own pace. In addition to interactive, modular based content, this great free-of-charge program is unique in offering certification, comprehensive e-mentoring and access to a global online community where e-learners can share experiences, find new markets, and build new partnerships.